No fancy teas, no elaborated recipes, nothing exquisite. Just a few simple ways, some of them forgotten, how you can improve your everyday cup of tea. And you won’t probably need to go to the supermarket either. Everyone loves cinnamon. We sprinkle cinnamon over cakes and cookies, we eat cinnamon rolls, we buy cinnamon scented candles, we decorate house with cinnamon sticks before Christmas, and we drink gluehwein with cinnamon. Do you need more proof how useful cinnamon is? 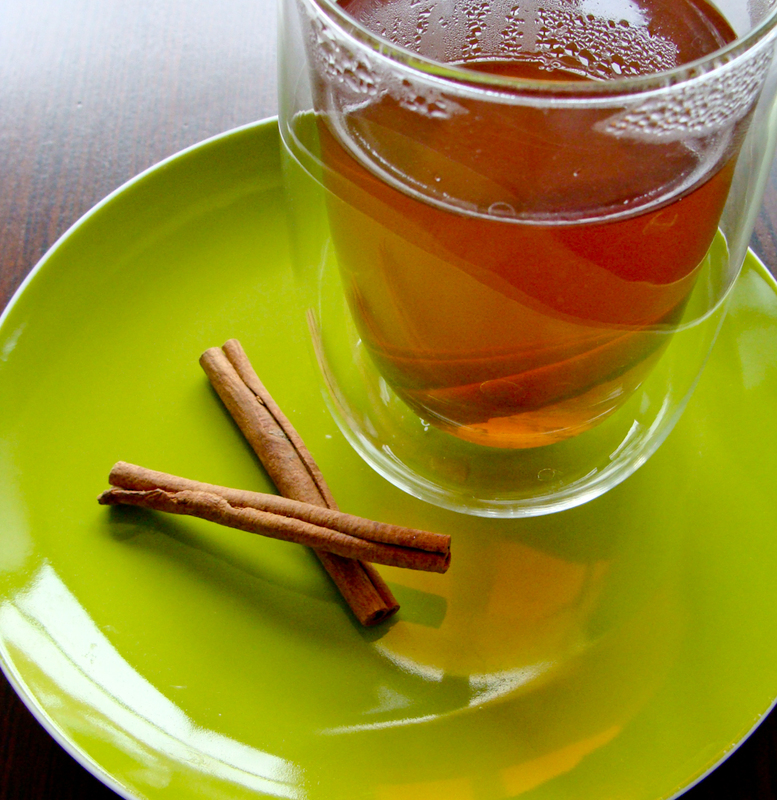 Just dip a couple of cinnamon sticks in your tea as well. I got this piece of advice from a Persian friend of mine who was drinking tea with cinnamon sticks at work. Now I know why – it’s a simple and easy way to add some flavor to this boring tea you get at the offices. It’s something irreplaceable when it comes to tea. A spoon of honey in your tea not only helps you fight viruses, but also tastes good. You can find tea honey which is specially made for tea. But I’d go for homemade honey from a local market or an ecological shop. A piece of advice: try chamomile tea with honey. A slice of ginger can do miracles. If you have constant stomach problems, gas, diarrhea, nausea, or motion sickness, you should always have ginger at hand. Its strong taste won’t leave you indifferent, quite the opposite – it will lift your spirits up! I’ve learnt to appreciate ginger watching my Indonesian friend cooking and drinking ginger water. Ginger is good as a supplement in your tea or as a drink itself. Here’s a recipe of how to make a homemade ginger tea. That’s something I’ve got to know from a local café Chaika in Vilnius. You can combine mint herbs with almost any other type of tea to get a new taste. Mint and cinnamon is another great duo! In North Africa it is common to serve Maghrebi mint tea which is a green tea with mint leaves. Well-known Moroccan mint tea is a combination of green and mint teas. So if you grow mint on your window, pick some leaves, add them – fresh or dried – into your tea and wait for a surprise. This sweet fruit, that is not so easy to eat, can be used for several other purposes. For example, its juice is mixed in smoothies but in the same way it can also be added in teas. The inner peel that surrounds red juicy seeds can be dried and later grounded into powder. You can use this powder in cooking as well as in hot beverages. I’ve tried the dried bits of peel in my green tea. The result: pomegranate does add a different flavor! 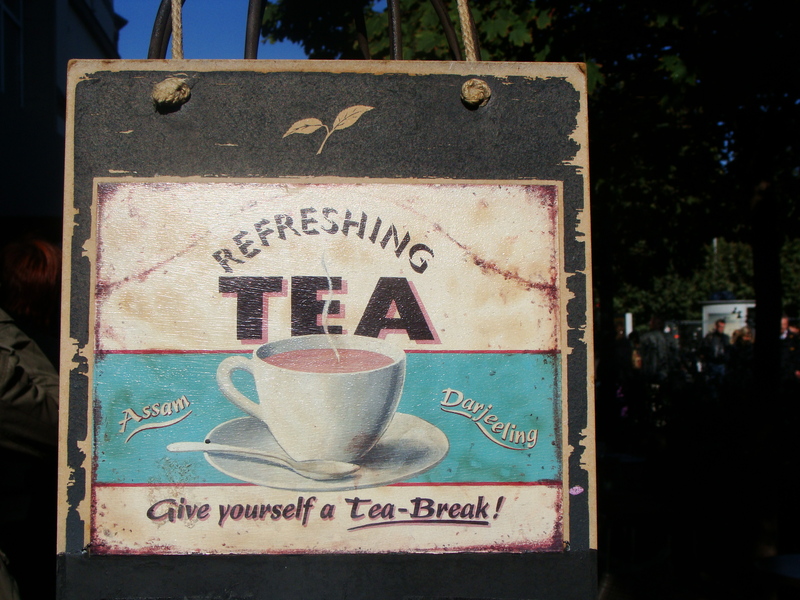 Time for tea break! Make it different.